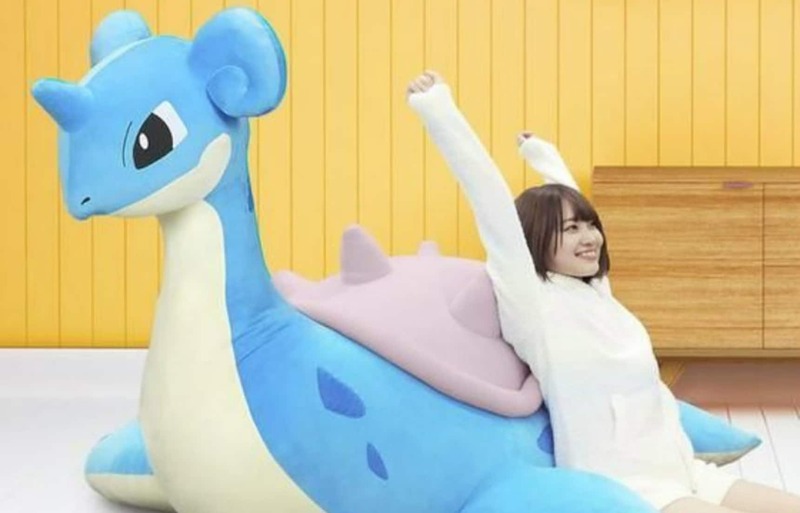 After the huge success of their Lapras plushy for kids, Bandai is at it again, only this time, they're creating a giant Lapras that's large enough for adults to ride! The Lapras You’ll Absolutely Want to Ride, as it’s officially called, stands 1.2 meters (47.2 in) tall and a whopping two meters (78.7 in) across. It also weighs 16 kilograms (35.2 lbs), meaning you can use it for weight-lifting, provided you can figure out how to grip it or balance it on a barbell. Ironically, one of the design elements that Bandai is touting is Lapras’ soft, cuddly spikes, although it looks like pretty much any part of the creature is enticingly squeezable. Preorders are currently being taken here on the Premium Bandai website, with shipping projected in July. The company reminds potential customers that while the social Lapras can be seen swimming in aquatic herds in the anime, given the size of the new plushie, ordering multiple units is likely to leave you with precious little floor space inside your home. 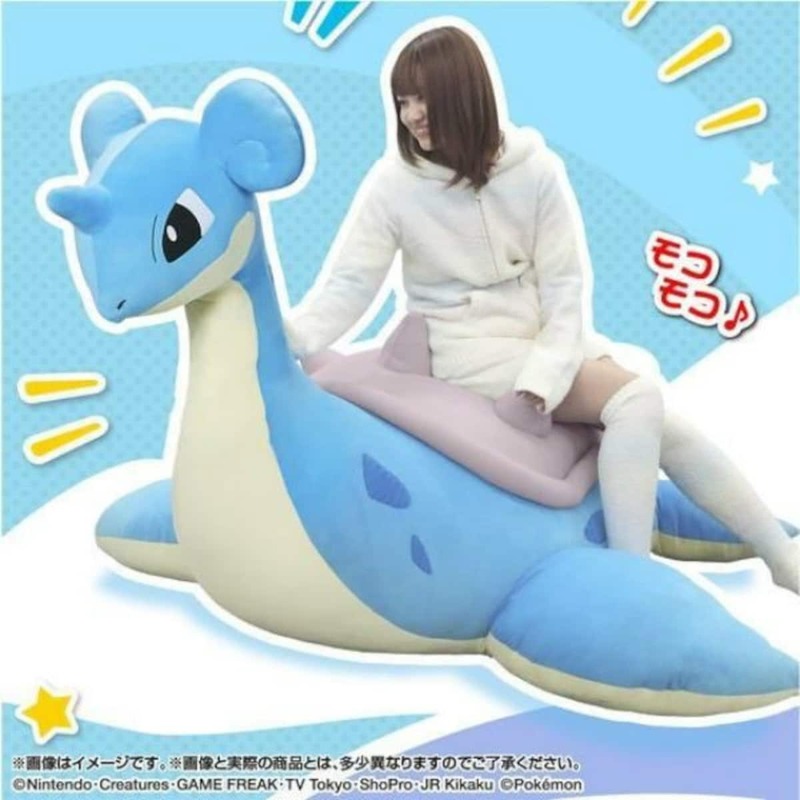 Bulk orders will have a similar effect on your cash reserves, as the Lapras You’ll Absolutely Want to Ride is priced at ¥79,400 (US$750). While that definitely sounds like a lot for a plushie, once something gets to be this big it’s probably more accurate to think of it as furniture.